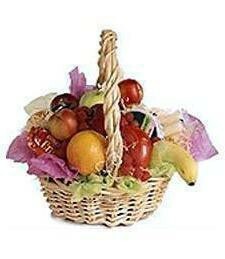 This plentiful mix of ripe prismatic fruits is a touching gesture of thoughtfulness and support. 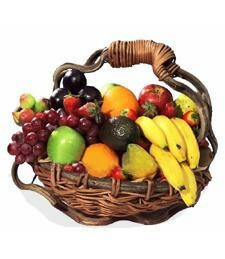 Extend your warmest sympathy and support to a grieving friend or loved one with this colorful and vibrant basket, brimming with tasty and healthy fruit. 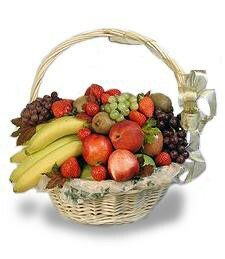 Send your warmesty sympathy and support to a grieving friend or loved one with this charming basket, brimming with tasty and healthy fruit. Vibrant and colorful, this arrangement will give that person comfort during this dark time. 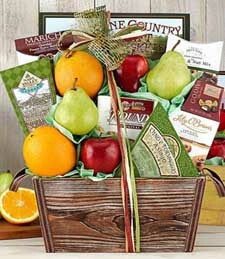 A charming and overflowing fruit basket, filled to the brim with delicious sweet treats. Nature's bounty is evident in this attractive and tasty treat! A heart-felt way to lend your warmest sympathy and support to a grieving friend or loved one. 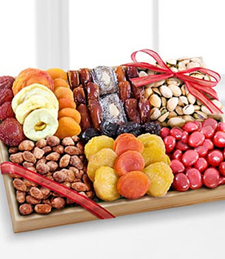 Deliver a royal assortment of decadence! 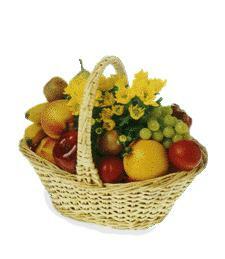 Enjoy the fresh, delicious, tantalizing bounty of fruit beautifully arranged in a charming basket along with various gourmet goodies. 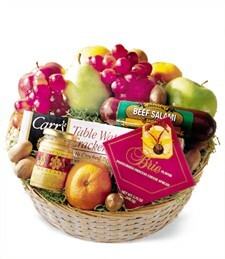 Truly pamper that special someone--have a delivery sent today!